It was an early winter night. The small intimate gathering at the rooftop of a private bungalow was a calm affair but a tête-à-tête with a well-known senior media person from Geo Network was red hot! The topic of conversation was the man behind Jang and Geo Group, Mir Shakil ur Rahman, who has transitioned from being a man behind a media empire of various famous anchors and journalist to the man accused of media-tyranny, corruption, disloyalty and treason to Pakistani nation and its solidarity. Usually hiding and firing his shells using the shoulders of his army of opinion makers in Pakistani media, Mir Shakeel has apparently felt the glare of the spotlight he has to face unwillingly. 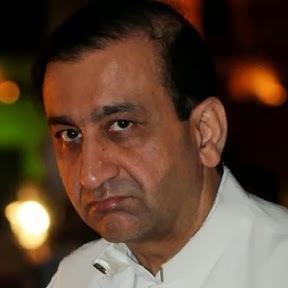 Known for being the mastermind behind the media policies formed by Jang and Geo yet not coming forward in the limelight, Mir Shakeel ur Rahman, has now become the target of resentment by Pakistani nation and lost his media empires credibility at least in the matters of army and Intelligence. The major game changer in this regard was the announcement of a new media channel BOL that really shook Mir’s 60-year-old media empire in an unprecedented manner. BOL unveiled the anti-army sentiment of Mir Shakeel and with its bold and upfront claim of bringing about a media revolution, it has so far stirred up a storm in the media industry and at the same time making the Mir nervous. With a single full-page Job ad and a heavy online advertising campaign directed targeting nationalistic sentiment with slogans like “I am BOL- I am Pakistan,” BOL has certainly helped in building the much needed positive sentiments for the country and armed forces. Next in line was the ARY group with its stalwart Mubasher Lucman who didn’t take much time to realize the need to further the dents that arrival of BOL caused in the foundations of the Jang/Geo media empire. Apparently fed up from the anti-Pakistan stance of the Jang/Geo group, Lucman went all out as a one-man army against Mir. In the process he also benefitted from a renewed fame and highest ever ratings.